November 3, 2018  "Horror music can fall into a trap of trying to be dark for the sake of it," the Radiohead frontman says. "There's lots of different ways to make something terrifying." October 11, 2018  "Volk" sounds like it should accompany a cinematic sequence of unspeakable body horror... or, who knows, maybe a really freaky, slow-motion food fight. 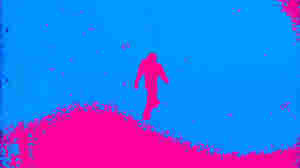 October 3, 2018  Yorke's first film score includes this psychedelic track. May 5, 2016  For Throwback Thursday, we revisit a 2008 conversation between Bob Boilen and Radiohead's Thom Yorke. Thom talks about In Rainbows, how he discovers new music and some of his favorite artists. September 30, 2014  On this week's All Songs: We share great new electronic music from Trent Reznor and Atticus Ross' unsettling Gone Girl soundtrack, Thom Yorke and Aphex Twin, plus new music from Robert Plant and more. 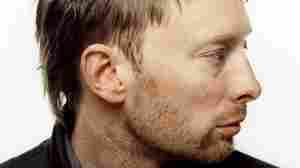 January 29, 2013  The Radiohead singer put together his latest band while on tour for his 2006 solo album. He and bandmates Nigel Godrich and Joey Waronker talk with Bob Boilen about their new album, Amok. 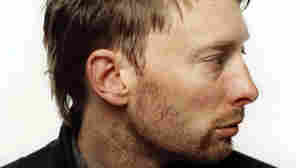 July 13, 2006  Thom Yorke, lead singer of the band Radiohead, has just released his first solo record, The Eraser. Music critic Will Hermes says while the music may seem depressing, Yorke has actually written a soul-record for the 21st century. 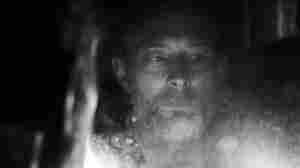 July 11, 2006  Those familiar with Radiohead's Thom Yorke — the great rock poet of anxious despair, whose internal dialogue revs like a thousand engines stuck in neutral — might be skeptical of any attempt to give his inner doomsayer the day off. But he's determined to try. October 28, 2011  If Modeselektor and Thom Yorke aren't enough, maybe zombies and a battery-hoarding little boy are. 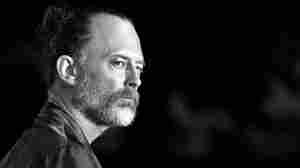 February 14, 2008  Radiohead frontman Thom Yorke shares some of his favorite music with All Songs Considered host Bob Boilen. 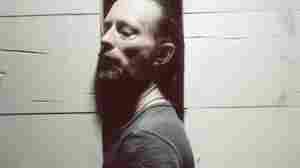 The two talk about Radiohead's latest work and listen to some of the artists Yorke admires. July 13, 2006  Remembering Pink Floyd's Syd Barrett; Quirky, D.I.Y. indie pop from Boat; The stark duality of Canada's Arctic; New music from Radiohead's Thom Yorke; Singer-songwriter Mason Jennings and more. June 8, 2006  Bob Boilen speaks with All Things Considered music reviewers Meredith Ochs and Tom Moon about their most anticipated CDs for Summer 2006.